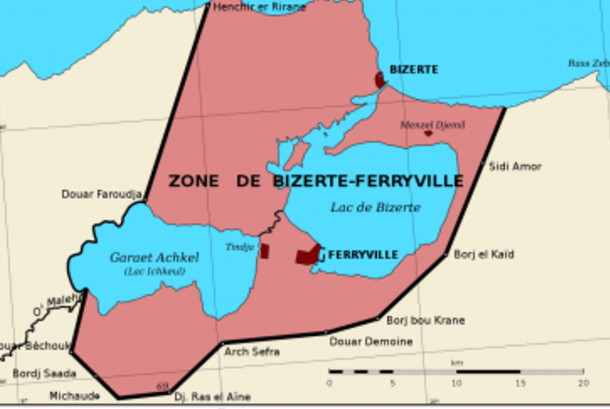 In September 1961, the French were about to withdraw from their Tunisian naval base at Bizerte and planned to evacuate all their citizens. Here is the little- known story of how all Jews were rescued too, thanks to the persistence of Uzi Narkiss, Israeli military attaché in Paris. The rescue operation of the Jews of Bizerte in September 1961 was organized and carried out by the Mossad. "On Saturday morning, we were told: "pack your bags tonight, we'll pick you up! " recalls Haim Ya'icheh of Ashdod. "Several times we almost left but at the last moment there was always something that kept us from leaving. But that Saturday night, all cars owned by Jews were pressed into service and we left with the minimum we needed. "I closed the door of the house and took the key with me. To whom could I give it? Business owners left everything behind. Those who owned a car, abandoned it. "We arrived secretly at a French air force base. We did not have a passport or a laissez-passer. We boarded a French landing craft. Almost all the Jews of the city were there. "I was accompanied by my wife, my six children and my elderly father. On board, the conditions were harsh. We were all on deck covered with a tarpaulin against the rain and wind. The next day, we arrived in Bone in eastern Algeria. The same day we took a special plane to Marseille and after a few days we arrived in Israel." Haim's story is the climax of the rescue operation of the Jews of Bizerte in Tunisia which took place mainly in September 1961. It was learned recently that the rescue had been organized by the Israeli Mossad in collaboration with the Jewish Agency, the staff of the Israeli embassy in Paris but also the Israeli military attaché of the time, Uzi Narkiss. Cooperation with France was the closest in the history of relations between the two countries. Yet, before the day of liberation, the operation ran into obstacles. Some in France tried to make it fail and this is why the operation was cancelled several times. Colonel Narkiss was forced to intervene on several occasions and knock on the doors of senior officers in the French army to move things along. Tunisia gained its independence in March 1956, after several years of struggle against the French regime that had controlled the country since 1881. 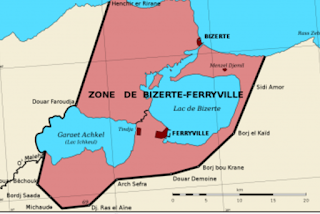 The French withdrew, keeping control only of the great marine base of Bizerte. In 1961, the Tunisians asked the French to leave Bizerte and in the summer of the same year, bloody fighting began between French and Tunisians during which hundreds of people were killed. Tunisia lost. The Jews in the city, numbering nearly 1200, found themselves in a bind, accused by the Tunisians of collaborating with the French. It was true in some cases. Many Jews worked at the French naval base. In September 1961, the situation worsened, with the Arabs threatening vengeance on the Jews. "Just you wait, as soon as the French go, we will take care of you! "Young Jews were arrested and charged with espionage. Jews who had French nationality had no problem leaving the country. For those who held Tunisian nationality - about 300, and those who were stateless - it was a different story. Maurice Matok of the local Jewish Agency prepared a list of all these Jews and desperately asked for help. Matok managed to establish good relations with people in the French Consulate in Bizerte, including the Consul General. Thanks to them, he managed to send small groups of Jews away to France. In spite of the difficulties, the Mossad managed to bring out, in several operations, 150 Jews from Bizerte. But there were still more than 100 Jews to rescue. This is where the story of these last Jews begins. In mid-September, Matok was told that the French intended to leave Bizerte between 21 and 22 September. He needed to act quickly. Matok asked for assistance to go to Marseilles. To his surprise, the French general Mot put at his disposal his private plane. In Marseille, armed with the list of the remaining 130 Jews, he met Mossad operatives, with whom he discussed various rescue options. But it was not plain sailing. Promised permissions did not arrive for any operation and the clock was ticking. The military attache, Uzi Narkiss, became the main hero. Having studied in Paris in 1953 at the Military Academy, alongside those who held high positions in 1961, he met up with them in the Cabinet of Prime Minister Michel Debré, in the offices of President De Gaulle and in various branches of the military. On 18 September, Narkiss met the Deputy Chief of Staff, O'Neill, with whom he discussed the planned operations. O'Neill replied that the army was ready to do anything to get the Jews out of Bizerte but only after the French foreign ministry had agreed to take responsibility for the operation. The ministry's response was clear: "Jews of Tunisian nationality will not be evacuated by the French." Narkiss hastened to warn the Israeli Embassy staff and his superior, Haim Herzog, then Chief of Military Intelligence. "The French foreign ministry is putting spokes in the wheel," he warned. Yom Kippur fell on September 20th but no-one stopped working on this. The Israeli ambassador to France, Walter Eitan, tried by all means to reach De Gaulle. Suddenly, the wheel turned and it seemed that his efforts had paid off. His contacts told him that there was a good chance of a green light for the mission. Maurice Matok, who was still in France, returned to Bizerte by military plane with the French consul of Bizerte, who on landing was asked to continue planning for the rescue operation. He promised to do so. On 22 September, the French Consulate organized Operation Moshe. It sent seven families (21 people) by boat out of Tunisia - but that was not enough. On the same day, Uzi Narkiss was summoned to O'Neill's office. The latter told him that despite the position taken by the Foreign Ministry, the Prime Minister had decided to get the Jews out of Bizerte at the same time as the French families. Admiral Aman, the strategic commander of the Bizerte base, was briefed and was asked to keep the decision secret. At the same time the military and civil authorities gave the go-ahead for the operation; Narkiss cancelled it, following O'Neill's decision (to evacuate all non-Arab citizens). But the talks between the French and the Tunisians at Bizerte failed and the evacuation of the French was rejected. Matok went to Admiral Aman's office to confirm that the latter had been ordered to evacuate the Jews with the French. Aman replied that he was ordered to evacuate only 12 people. Uzi Narkiss, more and more worried about the fate of the remaining Jews, reverted to his original plan - and received the go-ahead. But a day later, the French asked him to cancel this operation and promised to evacuate any Jew who wanted to go. Narkiss went to the (French) Prime Minister's office to receive a definitive answer. He was assured that Admiral Aman would bring the Jews out of Bizerte by French military transport. The admiral, always wishing to keep the decision secret, did not reveal it to the French Consul or Maurice Matok because too much talk would have jeopardised the rescue, given the opposition of the foreign ministry and the fear that the Arabs would get to hear of it. The operation was therefore cancelled again. Matok was called to the office of Admiral Aman. He was asked to give the number of Jews he should evacuate. Matok asked him point blank if he had been ordered to evacuate all the Jews. Aman hesitated and did not answer. In Paris, at the same hour, Narkiss received the good news that on the same evening all the Jews would be evacuated from Bizerte. Maurice Matok got the same news. He had to gather all the Jews at the military port in the evening at 17.00. As it was Shabbat, he asked to postpone the ingathering by an hour. He also preferred a night time start. The army refused to offer transport in order not to attract attention. Matok used all Jewish-owned vehicles instead. A French Consular official prepared trucks. At 18.30, the first cars arrived at the port. For an hour and a half the Jews boarded the ship, helped by the French soldiers. Before departure, Admiral Aman arrived at the port. Matok thanked him for his help. He replied that he was happy to have helped his friends, the Jews and the State of Israel. At 20.30, the boat left for Algeria with 105 Jews on board. Behind them remained a city empty of Jews apart from a single family of 10 people. The father did not want to leave because he had not received his September salary. It is clear that without the stubborn persistence of Uzi Narkiss, who did not hesitate to knock on doors to make himself heard and make things happen, the fate of the Jews of Bizerte would have been in the balance. Copyright Terre Promise © Elishean/2009-2017/Terre Promise. Will the Dweck controversy bring about the end of UK Sephardism? Given the personalities of the Rabbis "helping", I am inclined to think so. Gateshead rosh yeshiva (Ashkenazi Orthodox), Chief Sephardi Rabbi Yitzhak Yosef (more Haridi than Sephardi), Rabbi Mervis (Orthodox), everyone will want to turn Bevis Marks to his image. My humble opinion. I was not able to understand the machinations that took place, as described here. The subject of this story is very interesting, but the writing is confusing and unclear. What did Dwek do exactly? I will tidy up the translation. I will do a post on Dweck. I don't think this will be the end of Sephardim in the UK, the S&P community is solidly behind him , and the United synagogue is a separate entity with no jurisdiction over the Sephardi community.. I think the showdown between Sephardism and Haredism as you put it, would have happened sooner or later. It is a clash that divides rabbi Deck's own family, his mother-in-law Adina Bar Shalom from her brother, the Israeli chief rabbi, Yitzhak Yosef- between her engagement with the secular world and his Haredi approach of strict separation. Nothing to do with Adina Bar Shalom. That she is engaged in education of Haredi women in Israel is a far cry from Dweck's progressive positions on homosexuality and other matters. The problem -if indeed everything attributed to him is true- is that those who thought for example that they were converted in the Sephardi/SP rite by a Sephardi Rabbi might not be recognized in Israel. Also problematic for marriages divorces etc. he performed. Not that simple. I am saying they should have solved the problem internally without outside intervention. No machinations Ben it is only human nature to see one's religious ideology as the best. Here is a comprehensive article on the subject. sylvia, i dont think conversions are at risk, Dweck has stood down from the Sephardi Beth Din. dweck did try to solve the question internallyby flying to see rabbi Yosef,- to no avail. Why don't Jews remember their Sephardi heroes? Why do Jews stay in Iran?